What will really get your heart thumping about the 2015 McLaren 650S Spider is its 641-horsepower twin-turbocharged V-8 engine. The supercar is on display at the 2014 New York International Auto Show. As far as the infotainment interface goes though, it may not be the most flattering. 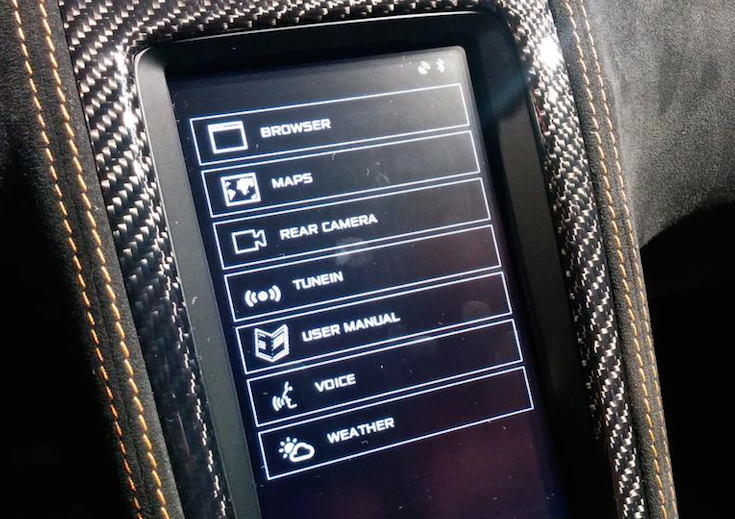 The plain looking entertainment interface in the 650S Spider is powered by Android. But seriously, who cares? No one's going to buy this baby for the smartphone-like infotainment interface. Check out more pictures like the one below of the 2015 McLaren 650S Spider at the NY Auto Show on CNET.